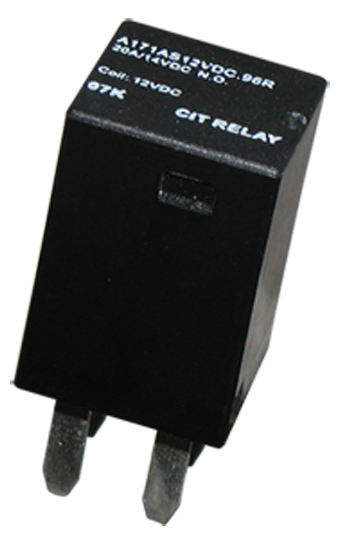 With switching capacity up to 30A, the A17 Series automotive relay is light weight and small in size. Suitable for automotive and lamp accessories, this small automotive relay switch offers contact arrangement of 1A with coil voltage options of 12VDC or 24VDC and coil power of .96W. 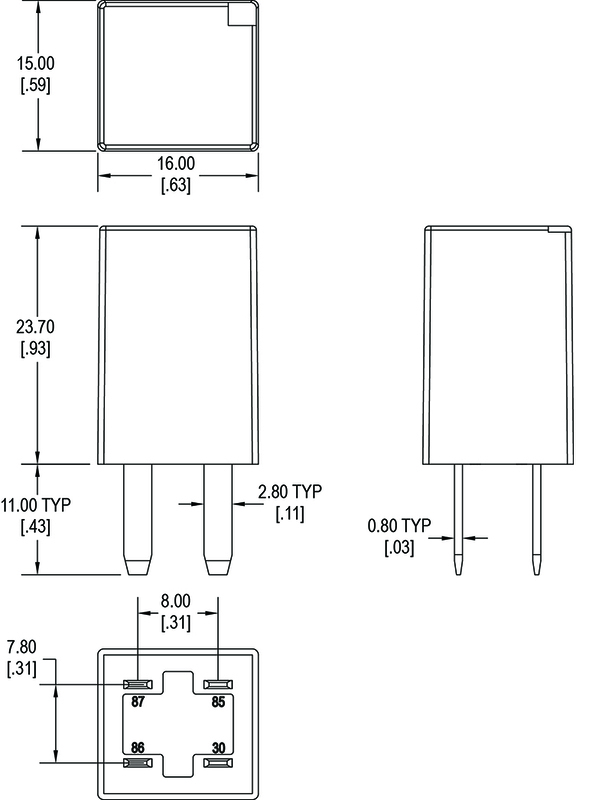 PC pin mounted, the A17 Series auto relay is 16.5 x 15.5 x 24.3mm in size.